Your search has returned 127 results. Save your search - find out immediately when "Ben Folds" is available at auction! Boston. A Chart of the Coast of New England from Beverly to Scituate Harbour, including the Ports of Boston and Salem. Lee, Harper (1926-2016) Autograph Letter Signed and Photograph, 8 August 2006. 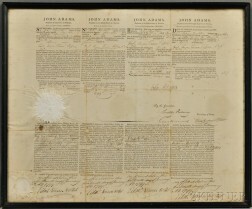 Cleveland, Grover (1837-1908) Document Signed, 26 April 1894. 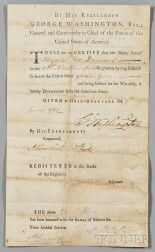 Pickering, Timothy (1745-1829) Autograph Letter Signed, Washington, D.C., 16 January 1806. North America, California, Texas, Gold Rush. John Calvin Smith (fl. 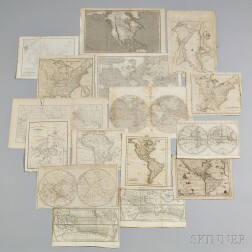 circa 1829-1855) Map of North America. Washington, George (1732-1799) Letter Signed, Granting a Leave of Absence, Newburgh, New York, 11 November 1782. Schweitzer, Albert (1875-1965) Autograph Letter Signed, 12 May 1956.